Click the Get API Credential button and place your MainChimp credentials. Save the Configuration. 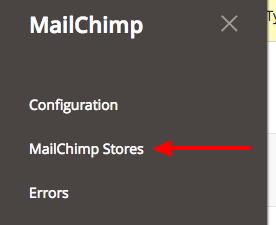 If you already had a Mailchimp store created you can skip steps 4 to 8. Click on Create New MailChimp Store. Fill all the required fields on General and on Address. Select the store created on the drop down list. a. Cronjobs: Mailchimp for Magento 2 requires the Magento cron to be set up an running, without this the extension can't work because it relies on this to synchronize data. 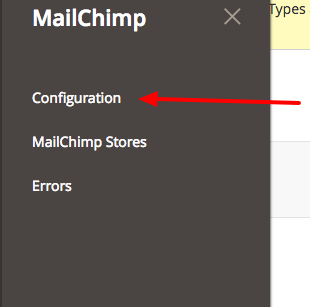 b. Syncing from Mailchimp to Magento: Even though the main function of the extension is to sync data to Mailchimp, you can also sync subscriber information from Mailchimp to Magento. This on top of requiring a cronjob task to run, it requires a webhook for your configured list so that Mailchimp can communicate with your site when it has updated information for the subscribers. If the webook wasn't automatically created for your Mailchimp list (you can check this on your Mailchimp account, going to your list, then to Settings>Webhooks), you can create it on the Mailchimp extension settings in Magento using the "Create Webhook" button that appears when you enable 2-way sync. You need version 1.0.28 or higher to have this available. 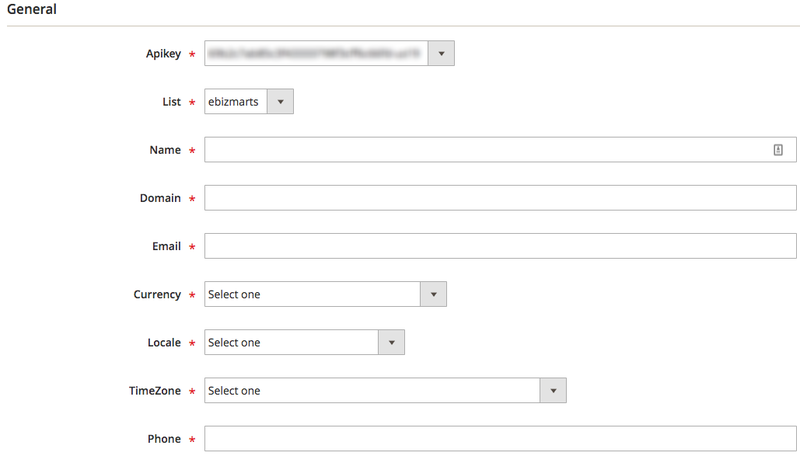 c. Domains and multistore: Have in mind that as of recently, Mailchimp has made some modifications to the API, and now each store you have connected to Mailchimp must have its own domain. Meaning that if you have a multistore Magento where the extension is configured either at the website or storeview level for multiple-stores, each store must have its own domain in one of the following ways, even if the only difference is the language.